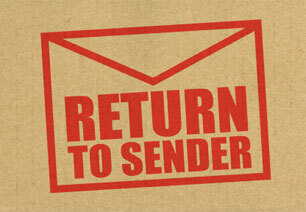 We Handle Returns Management So You Don’t Have To. NPFulfilment helps keep your customers loyal by providing fast and accurate returns management. By handling and processing all returns through one single touch-point, we free your business from the hassles and expenses of in-house reverse logistics. Strategically located distribution centres across Australia and Asia give your customers a simple return path. Use our logistics platform to manage every step of the return process. If you currently work with multiple 3PL providers, or do returns management internally, it could be costing you. Many 3PLs will charge exorbitant fees for processing and handling your returns, while managing them in-house means shouldering the entire burden of reverse logistics. In both situations you incur significant added costs, while your customer suffers from lengthy delays. The Best Way To Correct Mistakes Is To Not Make Them In The First Place. NPFulfilment also saves you money by helping to avoid returns before they happen. We guide our clients in the use of addressing software to ensure that orders sent through to us have an accurate “ship to” address. Our streamlined order management and order processing systems give us the capabilitiy to identify inaccuracies in data sent through to us therefore preventing orders being shipped to bad addresses. As the proliferation of E-Commerce continues to provide consumers with ever increasing purchasing options, customer satisfaction has never been more essential. While pricing, availability, presentation, marketing, and sales may get you the initial purchase, a superior customer experience is what gets you repeat business. NPFulfilment helps keep your customers loyal by providing fast and accurate returns management. And by handling and processing all returns through one single touch-point, you free your business from the hassles and expenses of in-house reverse logistics. Save money and time by making reverse-logistics a thing of the past. Our smart technologies and advanced Warehouse Management system minimise occurrences of returns, and when they do happen, we handle everything so you don’t have to. To find out more about how our returns management solutions can benefit your business today, give us a call. You can also request a quote online by clicking here.